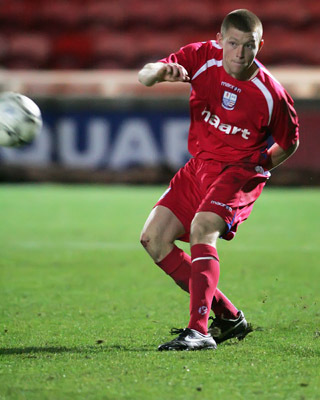 Sam started his career with Milton Keynes Dons at the start of the 2006/07 season, but after failing to gain a regular place in the team, went out on loan to Hendon. After returning to MK Dons, he then went on loan to Cambridge United in February 2007 until the end of the season. The following season, he was loaned to Walton & Hersham in September, then back to Hendon the following month before his contract was cancelled by mutual consent in January 2008. He only made two appearances for MK Dons, scoring in the one game he started. He came to Rushden & Diamonds for a trial and went straight in to the starting line up in the Hillier Senior Cup tie against Northampton Spencer at Nene Park. Although he put in a good performance, scoring in extra time, he failed to win a contract and joined Hendon the following week. On 19 June 2008, Sam signed a one year contract with Horsham which was extended to the end of the following season. On 26 May 2010, he joined Isthmian Premier side Sutton United where he remained for two seasons before being released on 1 June 2012. During his time there, he made 101 appearances and becoming the club captain, but left after a new training regime affected his work commitments. On 7 June 2012, Sam joined Conference South side Havant & Waterlooville, but left on 28 November 2012 to join fellow Conference South club Staines Town. 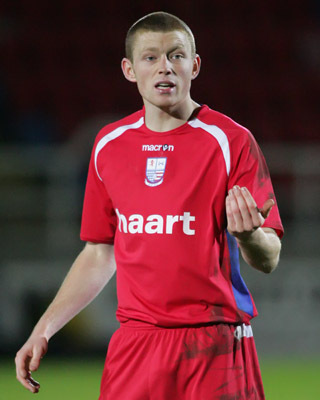 He left at the end of the season, and joined Isthmian Premier side Kingstonian on 17 June 2013. He was released by Kingstonian in November 2017, signing for Chipstead, staying with them for the 2018/19 season.